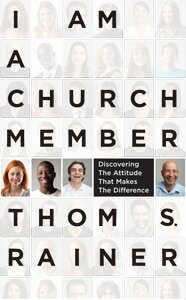 I recently read “I am a church member: Discovering the Attitude that Makes The Difference” and I found it to be a most thought provoking little book. This book, written by Thomas S. Rainer in 2013 is only about 65 or 70 small pages so it’s a very quick read. I purchased the book in an e-format for $5 so it’s not a read that will take a long time to get through or cost a lot to obtain.